Choosing an approved Peugeot service, warranty and parts specialist means you’ll always be assured of the highest quality, up-to-date technical care for your Peugeot car, van or minibus. As part of Peugeot’s official repair network, both our Peugeot garage centres and mobile service vans are committed to meeting the Peugeot Service Promise. This represents our ongoing dedication to investing in training, equipment, processes and components designed to ensure we consistently meet your after-sales expectations. Keeping your car or van maintenance record fully up to date, with an official Peugeot service record – helping the resale value of your vehicle(s). Providing interim health-checks, between major service intervals for your vehicle. Offering you genuine Peugeot parts – or highlighting Peugeot-approved alternatives – and using the Peugeot recommended fluids and lubricants. Checking for any Peugeot recalls on your vehicle and undertaking the recommended corrective action, to keep your van or car running smoothly and safely. 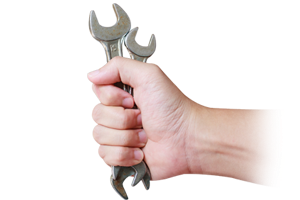 Carrying out any warranty repairs your vehicle may require. Providing a clear and accurate estimate for any out-of-warranty vehicle repairs. Helping keep your vehicle(s) running as efficiently as possible – saving you money on fuel as well as minimising environmental impact. We’re regularly audited and inspected by Peugeot to ensure that we maintain the high standards expected of a Peugeot Approved service, parts and warranty dealer. As part of the Peugeot family, our qualified automotive technicians receive in-depth training direct from Peugeot, ensuring our knowledge is always up-to-date with the latest Peugeot van and car models, maintenance intervals and repair procedures. We also use specialist tools and diagnostic systems, tailored specifically for Peugeot cars and vans. 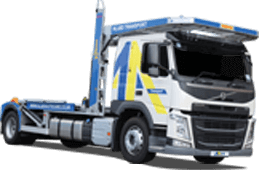 In addition to our Peugeot garages and mobile servicing vans, Allied Autocare holds one of the largest stocks of genuine and recommended Peugeot parts, in our giant Parts Hub warehouse. As an appointed Peugeot parts distributor, we supply hundreds of car and van parts to Peugeot and independent repairers nationwide, on a daily basis. Original Peugeot Parts – Made by or for Peugeot and matching the original components used when your Peugeot van or car was manufactured in the factory. Original equipment (OE) parts are long-lasting and offer you premium durability and performance, especially for new and nearly new cars and vans. Peugeot Approved Parts – Supplied by Eurorepar, to Peugeot’s exacting technical specifications. Peugeot approved parts offer peace-of-mind, added value and two years’ parts and labour warranty cover and are recommended by Peugeot for vehicles from two or three years of age. We can provide Peugeot servicing to the following models: Peugeot 108, Peugeot 208, Peugeot 2008 SUV, Peugeot 308 models, Peugeot 3008 models, Peugeot 5008 models, Peugeot Partner Tepee, Peugeot Rifter, Peugeot Traveller, Peugeot Expert Combi, Peugeot Partner Van, Peugeot Expert Van, Peugeot Boxer Van.